Die Post , a setting by Wilhelm Müller , was composed by Franz Schubert in 1827 and published in 1828. It is the thirteenth lied of his song cycle, Winterreise. Die Post is the thirteenth lied of Winterreise. The song cycle achieves such unity it seems relevant to learn about the songs that precede it. A stranger must leave in cold winter, in the dead of the night. He had found love but she now rejects him and he leaves thinking of her (Gute Nacht, N.1). In Wetterfahne, N.2, the house of the one he loved creaks in the wind as if making fun of him. She doesn’t care about his suffering and is now a wealthy bride. In Gefrorne Tränen, N.3, the narrator realizes he has been crying, his tears freezing one after the other. In the following lied, Erstarrung, N.4, he looks for her footprints but is left with nothing to remember her, except his pain. The Linden tree calls out for him, promising him rest and peace but he turns away (Der Lindenbaum, N.5). He hopes that the brook will bring back his tears to the one he loves (Wasserflut, N.6). In Auf dem Flusse, N. 7, he tries to carve a memorial to their love in the frozen stream. In Rückblick, N.8, our narrator accelerates his pace, trying to set the most distance possible between him and the place where he was betrayed. Irricht, N.9, is centered around a desperate belief: every sorrow reaches its grave while Rast, N.10, focuses on the exhaustion the narrator is experiencing. Finally, in Frühlingstraum, N.11, a moment of rest is offered to the listener when the remembrance of spring is revived, contrasted with the violence of the present winter. In Einsamkeit, N.12, the stillness of the outside world is resented and the narrator expresses the need for harmony between his feelings and Nature. Die Post is in contrast with the songs that precede it. Here, the piano figures the post horn, the dotted notes spring rapidly as do the horses caring the post letters. It could also be an imitation of the heart of the narrator pounding with expectation. The piece is built around an ABA’B’ structure. The joyful bouncing of the A part is followed by disappointment as no letters for our narrator have arrived (B). The music turns into minor cords and the trochee rhythms express the painful drubbing of his heart. Die Post originated was composed by Franz Peter Schubert . The original lyrics are in German. The melodious note arrangement of Die Post ranges from pianissimo (very soft) mellow notes to forte (loud) notes carrying the player and the audience through an array of vivid emotions. The sweet soft beginning of the music piece gradually increases and decreases the loudness in smooth transitions. This music piece is decorated with phrases, slurs and an arpeggio. A perfect composition for piano players to try with an intermediate knowledge in music. Students can make use of this sweet music piece to improve their knowledge in music expressions, ornaments and sight-reading, while all music lovers could enjoy this brilliant extract whole-heartedly. Die Post sheet music produced by Lyribox is clear, precise and is transcribed in English by Lyribox. By purchasing Die Post sheet music from us, you can simply sing along as you play this masterpiece on your piano. Unlike many sheet music sold online with all black notations, sheet music we offer you is marked using three distinct colors. While piano notation is illustrated in black, the music expressions and the lyrics are given in red and blue respectively. 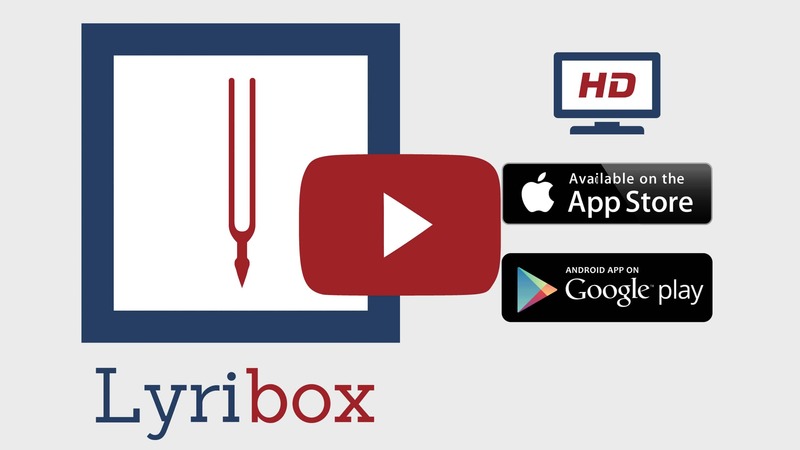 Get Die Post by F. Schubert sheet music from Lyribox today to enjoy and share this wonderful music composition with your friends and family. Die Post piano accompaniment is offered by Lyribox is mellow and smooth. It feeds the poem an underlying pulse, adding a sense of propulsion to it. Meanwhile the vocal line flows in a dreamy leisure manner forcing the audience into a calming and languid mood. The vocal line of Die Post by Lyribox has the potential to provide slight pitch support for the voice’s sometimes unusual intervals, enhancing the fullness of it. This accompaniment is not at all demanding. Using these rich Die Post accompaniments you could create one of the most brilliant performances that is pregnant with layers and layers of expressions. Purchase the Die Post piano accompaniment together with the vocal line accompaniment from Lyribox today!